I have done several trips with Due West Charters - two in the Gulf Islands [1,2], and one other on the Mid Coast of British Columbia. 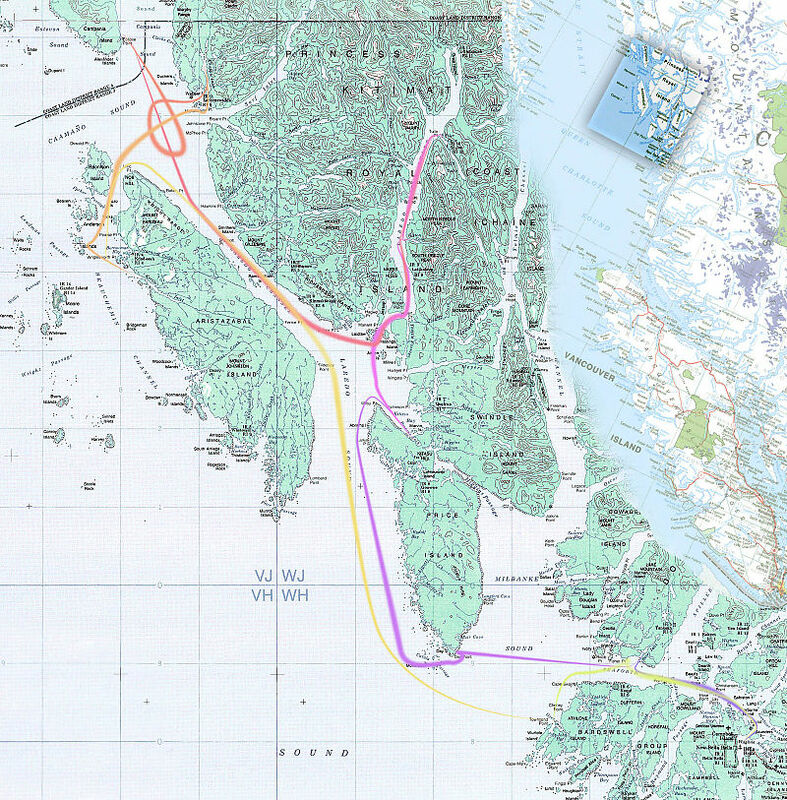 This year Jan was offering a new trip to the area surrounding Aristazabal Island - a region North of Bella Bella. This was a trip into one of the least populated places on the coast of BC and unspoiled wilderness. We head north from Bella Bella and gain our kayaking legs. An inter tidal exploration at Day point shows us what is lurking just beneath the water. Princess Royal Island is famous for it's white "kermode" bears. We spent time at the forest/river/ocean boundary trying to find these reclusive bears. More excellent Ocean kayaking, and a glimpse into the culture that dominated this area over 100 years ago.